Several years ago, I was listening to a podcast about Black-eyed Kids or BEK phenomenon. It was an occurrence that I’d never heard of before. But as I listened, I felt the chills creep up my spine and I found myself watching out the window, just to be sure there were no black-eyed kids in the vicinity. So, in all fairness, I thought I’d share this creepy story with you. The podcast was one of my favorite shows, Astonishing Legends and they ran a three-part series about the idea of these strange children. The idea behind the black-eyed kids really started to gain some traction when Brian Bethel, a journalist, had an encounter with two of them one evening in 1996. 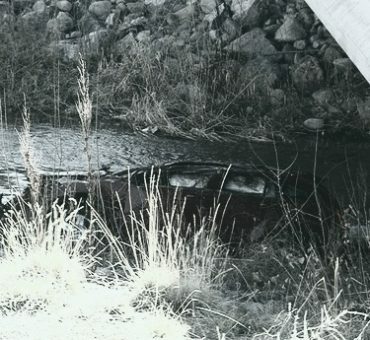 According to investigative journalist, Ryan Sprague what happened next would change Bethel’s life forever. “Brian Bethel was a journalist out of Abilene, Texas. It was believed that the BEK phenomenon had stemmed from a story Bethel recounted to colleagues in a personal email almost two years after the incident had occurred. It was 1996 when he was on his way to pay an internet bill at a local provider’s offices. He pulled over near a movie theater, using the marquee’s light to write a check. It was in this moment when a knock frightened him, a pair of pale knuckles tapping his driver’s side window. Bethel looked up to see two young boys with hooded sweatshirts covering their faces. An immense rush of fear suddenly rushed over him. The fear, as Bethel remembered, was incomprehensible at the time. The boy who seemed to be the leader of the two had curly hair and an olive complexion. The other boy stood in the background, red hair and freckles. Their appearance, though average at first glance, soon sent even more fear through his bones. The boy’s both had eyes that lacked any substance. They were just large swathes of pitch black. No life to them whatsoever. 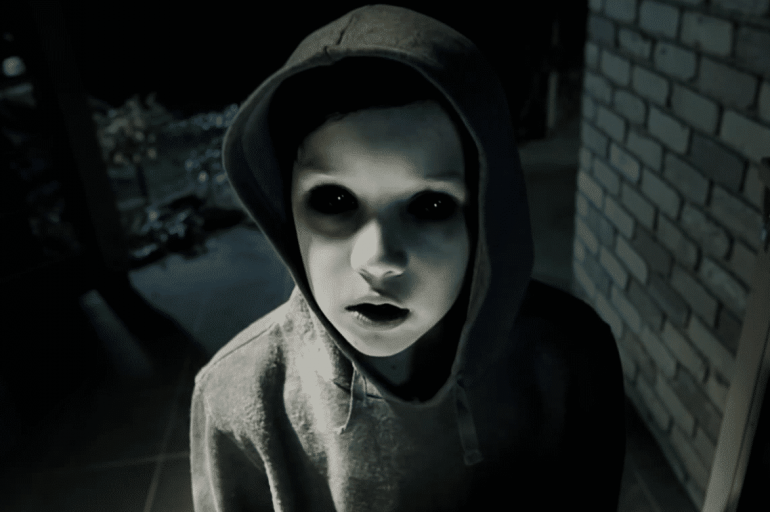 So, how common are the encounters with Black-eyed children? “So this was August of last year, I had just graduated about a week prior from college (summer classes) and as part of my graduation gift my parents and grandparents went in together to buy me a flight to Rome, I’m a major history buff so I’ve always wanted to go to Europe and Rome/Italy especially, one of my friends also went along with me (I’ll call him Caleb so I don’t have to type out “my friend” a ton but not his real name). Anyways, as both Caleb and I were recent college grads, we didn’t exactly have a ton of money to spend on vacation, so we stayed in the area of Rome by Termini in a budget hotel. So, before I proceed, a few things about Rome because there were some misconceptions I had before going. The first is that Rome is dirty and just “feels” sketchy, because of this you instinctively are looking over your shoulder and I just felt paranoid. The area that Caleb and I stayed at, was near Termini, the main train/bus hub of the city, while it was a super convenient location (less than a 5 minute walk and we could access the metro or a bus to anywhere in the city or a cross-city train) the area just felt run-down with graffiti all over (I mean, more than usual than Rome). The other thing you should know is that Romans like to eat long meals and eat very late, whereas back here in the US I typically eat dinner around 5:30 to 6 and generally finished well before 7:30, some of the restaurants in Rome don’t even open until 7 which lead to you being out a lot later than you had intended. So, one evening after dinner (it was probably around 9:30 or so) Caleb and I were leaving the restaurant to the metro station to head back to Termini when we noticed two children were following us. Now, you hear online that a lot of scammers use children to distract you, so I put my hand in my pocket around my wallet and walked a bit faster. Both of the kids were probably around 10 or 12, the lighting wasn’t the greatest and the sun had set but they were dressed in dark clothing (whether it was black or brown or even maroon I couldn’t really tell at the time). One was a boy and one was a girl, the boy had a very short haircut only slightly longer than a buzz cut whereas the girl was wearing a beret (dark colored) and had long, slightly curly hair. I felt a bit of unease because something didn’t seem “normal” at the time, I didn’t think anything paranormal but was worried about being mugged or pick-pocketed. Anyways, eventually, I stop hearing their footsteps behind me and when I look back I don’t see them or anyone. The metro ride back to Termini was uneventful, I didn’t particularly look for the children, but I didn’t notice them if they were around. Once at Termini, it was only a couple of minutes to the hotel, despite it being rather dark (Rome doesn’t seem to have adequate street lighting for a city that eats so late!) nothing seemed out of the ordinary. Anyways, I went to my room and Caleb went to his. At this time, it was probably around 10:00 at night. So, I go to take a shower before bed and midway through my shower I think I hear a knock on my door, I don’t think a whole lot about it, this is a cheap hotel and I doubt that its soundproof enough that someone standing outside of my door couldn’t hear the shower running. So, two minutes pass and I don’t hear any more knocking and I finish my shower, put on sweatpants and a t-shirt and look out the peephole and I see the two children from earlier just standing there. The boy was wearing a maroon button-down shirt with brown pants. He had black hair just barely longer than a buzz cut. But what stood out was his white skin, maybe it was the lighting in the hall, but I don’t think I’ve seen anyone with as white of skin as his (and his female companion) it was almost as if someone had painted their skin white, it’s very hard to describe without seeing it, it looked almost, bloodless? There was just no warmth to it. His eyes looked to be black, almost like if someone was squinting in that the eyes looked like they weren’t there, it wasn’t like someone had colored contact lenses at all, it was a very, very strange thing indeed. Now, prior to hearing about the Black-Eyed-Kids, I thought this was the creepiest part of it because after four days of being in Rome, outside of Caleb, pretty much everyone did not speak good English and the ones that did speak decent English had a very clear accent of some sort. This though did not, it was clearly the voice of a native English speaker and I couldn’t detect that there was really any accent (as in, it didn’t sound like anyone from England or have a noticeable southern accent). I decided that I’d had enough and just didn’t make another sound and moved to my bed, I must have just sat there waiting for an hour or so trying not to make a noise or make any indication that I was in the room hoping that they’d decide that their prank or scam wasn’t having any effect and leaving me alone. I decided against texting Caleb about it, after all, I was probably just paranoid about nothing and it was just me being nervous being 5000 miles away from home mixed with what I probably would have considered rather funny or mildly annoying rather than scary if it was back in the US. Okay, so I’m not going to visit Rome, especially the Termini area. 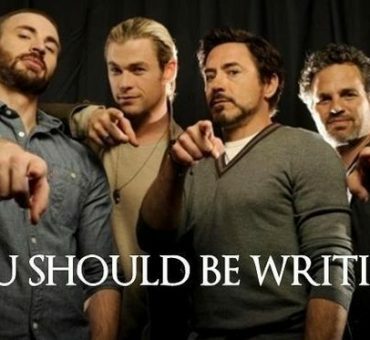 Now, a lot of people on Reddit thought, “Hmmmm, amateur author, are you perchance trying out your newest plot on us?” And, it could be true. But, what was even more interesting was one of the responses he received. You probably want to read her whole post – don’t you? I did! “During the most recent New Year’s Eve, my son, myself and my Fiancé had a quiet night at home… we watched movies, made dinner… my son went to bed fairly early since he was only 5 years old. No wild party. We were marathon watching Netflix while laughing/chatting in the Master Bedroom, well after midnight – at which point, there was a confident (yet, creepy) solid knock at our front door. We live in the county and it’s a bit remote… all of our neighbors were friendly enough, but they wouldn’t have knocked that late as it would be perceived as rude. Our Jeep was parked in the garage, so it wouldn’t be related to a car having lights left on etc. I’m listing this cuz that happened once. The keys to the Jeep and the house were securely hung in place. The fun time we were having quickly shifted to an odd feeling of confusion, coupled with unusual terror. It was really odd. We aren’t fearful people. We simultaneously checked our smartphones for anyone stopping by, unannounced. Nothing… except a few well-wishing friends’ texts due to it being New Year’s Eve and all. I got up to stretch and my Fiancé made sure I wasn’t about to answer the door. “Hell no,” I said. We laughed uncomfortably. I joked with him saying, “Cuz, you’re going to…” I teased. He scowled and then smiled. Knowing full well he would have normally. Why were we so on edge? We both remarked how odd we felt about the knock and the late hour. In fact, we didn’t budge from the master bedroom… neither of us felt good about checking the door and figured whoever it was had the wrong house. Then another knock. Boom, Boom, Boom…Boom…Boom. We were getting agitated and that strange feeling of terror was back, strong as ever. I’ve never felt that way about someone knocking on the door before, nor have I not felt safe to answer… it was really odd. I’ll paint a clearer picture… good neighborhood… our front porch light bulb needed to be replaced…so it was dark as hell out there. I thought it was really weird that someone would be standing out there in complete pitch-black darkness, for three minutes… knocking like that. I mentioned this to my fiancé… the peephole would give us away if we stole a look since lights were on throughout the house. We didn’t dare check. Why? That senseless feeling of fear was disabling. It made it so two grown very capable-at-defending-ourselves adults were essentially cowering in fear, after 2 knocks at the front door, late at night. What gives? It took about a half hour, but I eventually felt a lot better…no longer felt afraid… and felt that whoever it was had left. I checked the front of the house through the kitchen window…no cars…no neighbors…no parties…just the calm sound of crickets. I proceeded to open the front door (after listening to make absolutely certain no one would surprise me…like a drunk ex-boyfriend passed out on the porch or something equally hilarious) Satisfied, I opened the front door. It was quiet. In fact, too quiet. No crickets no sound at all… that’s odd, I thought. I had a feeling instantly of being watched. From where? Who? What? I got the chills and shut the door… then armed the alarm system. I thought to myself, if they come back we can call to report suspicious activity to the police; however, it then occurred to me that we wouldn’t get through…it was New Year’s Eve after all. Awesome – right? My thoughts? I wonder how many people have had encounters with Black-Eyed Kids on Halloween night and never even knew it? Boom! Boom! Boom! Trick or Treat! This was a really good one! My Grandfather, who was from small town Tennessee, told a similar story from when he was a child. A story passed down over time. I don’t remember it all but is was something about an old lady who lived alone who would put food out on the porch, for the children but wouldn’t let them in. Oh, wow, Linda, I just saw this and your response gave me chills!!! !